Two people are being questioned by police in Duisburg, Germany following an earlier hostage situation at a bank. Two people had been held captive at Sparkasse bank in the Rumeln district. Police tweeted that the hostage situation concluded after special forces entered the bank. Two people arrested earlier in the vicinity are considered by police to be suspicious. SEK hat die Sparkasse in #Dusiburg durchsucht. Initial reports indicated that a male and a female, understood to be husband and wife bank employees, were being held by an armed individual in the savings bank, police said, according to Der Westen. Earlier, one of the hostages, reportedly a woman, exited the bank. A tweet from police said she was a bank employee. It’s understood she exited around 11am local time, some two hours and 20 minutes after police were called to the scene. The remaining hostage was released after police entered the bank. 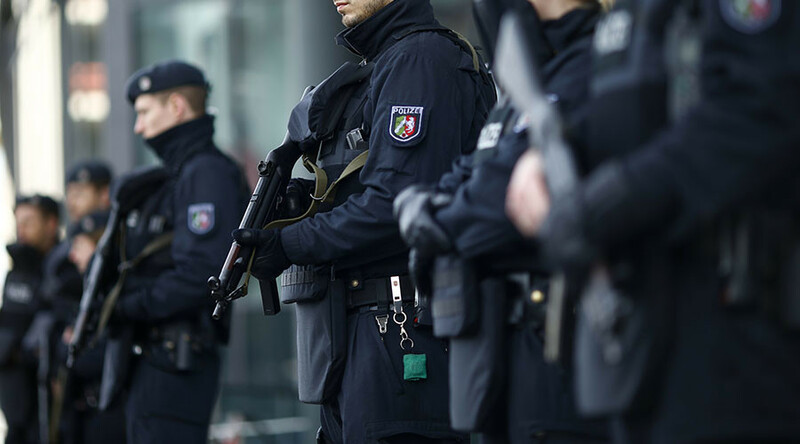 Police had sealed off the area and Germany’s Special Deployment Commandos (SEK) were reported to be at the scene, along with a helicopter and snipers. Video from the area showed the extent of the police presence. A police spokesman described the robbery as an "untypical bank robbery,” according to Neue Presse, as it took place before the bank opened to the public. RP online reported that employees of the bank heard voices coming from a vault when they arrived this morning. Police were alerted to the situation at 8:40am local time. The bank was due to open at 9am.